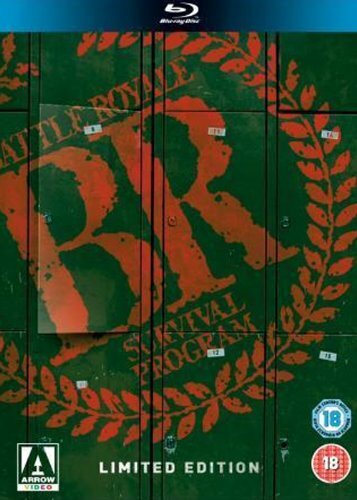 Arrow have pulled out all the stops to give fans a 3 disc Special edition of the cult classic Japanese film Battle Royale. In future Japan things are not well, unemployment is sky high, students are boycotting school and the crime rate has soared. To combat this the government introduce the ” Battle Royale Act”. Every year one ninth-grade class is selected to participate in the programme and Shiroiwa Junior High School’s Class B are selected. The forty-two students are taken to an uninhabited island and forced to fight to the death. If after three days of combat a winner has not emerged, the electronic collars fitted to each student will explode, killing them all. But amid the killings, there are plans among some students to escape and get off the island alive. A huge controversy erupted when this film was first released and this movie has never had a theatrical or DVD release in the USA. It is a brutal and sometimes satirical look at Japanese society and the way it treats its youth and crime but it is also a fantastic piece of action cinema. The Blu ray release from Arrow is a 3 Disc SE and is limited to 10,000 copies on its initial run. Flashbacks to a basketball game which is used as a framework for the story. Added reaction shots in the classroom, and extensions to existing shots. A flashback that explains Mitsuko’s personality. Added reaction shots in the classroom. Personally, I prefer the original theatrical cut. It just seemed pointless going back and adding stuff that isn’t really needed, it seems to be a trend started by George Lucas and Star Wars and sadly happening more and more. Sure “improve” it if you so wish, but at least let us have the chance to still see the original, it is a capture of that time in cinema and should not be messed with. Rant over. The great thing is Arrow has given us the choice of both so kudos to them. The transfers on both discs are 1080p and are a great improvement over the DVD. There is DNR used but not overly done, there are dirt and specs still present on the disc but not distractingly so. I think if there is a problem it is that the film never looked that great to start with and Arrow have done the best they can with the sources Toei gave them. Sure it’s not a reference quality Blu ray but as mentioned it is a vast improvement over any release on DVD and is a must buy if you’re a fan of the film. The sound is superb with a DTS MA 5.1 and 2.0 soundtrack in Japanese. The music sounds amazing with the classical score giving your speakers a great workout. The extras are a mixed bag but plentiful! 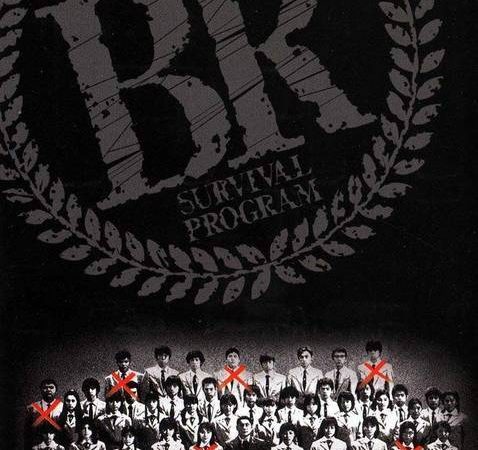 Disc 1: Trailer original theatrical and The Making Of Battle Royale The Experience of 42 High School Students (both HD). The making of is just short of an hour long and shows behind the scenes footage, interviews and candid shots which make it more interesting than most making of features found on releases these days. 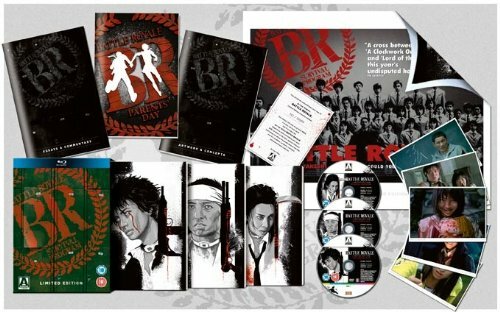 Disc 3: Premier Press Conference, Opening Day At The Marunouchi Movie Theatre, The Slaughter of 42 High School Students, tv spots, Royale Rehearsals, Masamichi Amano Conducts Battle Royale, Special Effects Comparison, Behind The Scenes Featurette, Filming On Set, Trailer Gallery. (All SD). And don’t forget the retail version comes with a thirty-two-page comic, a thirty-six-page booklet, the other sixteen-page conceptual artwork booklet, the 5×7” stills postcards, or the fold-out reversible poster of original artwork!! The extras are good but sometimes repetitive, you feel as if they could have fitted most of them on 2 discs as opposed to 3, but that is just nit picking really. How often you would watch the extras is debatable but its great to see a company like Arrow going that extra mile to give fans something special as this box set is. Don’t forget its region free also so can be played anywhere which is another bonus. (Note: Extras on disc 3 are region free but PAL format). 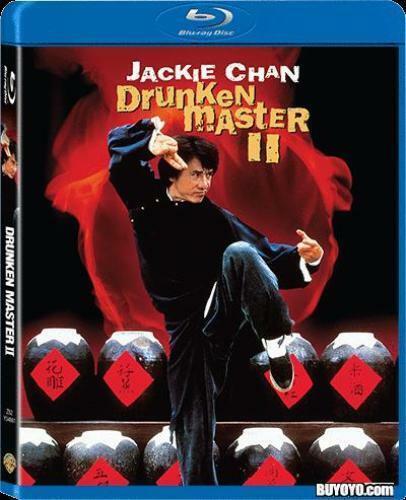 A standard Blu Ray will also be released later.